A cryptic plea for help from a childhood friend sends cousins Nate and Nicki Price from New Orleans to Memphis. When these two private investigators arrive at Danny Andre’s last known address, they discover signs of a struggle and a lifestyle not in keeping with the choirboy they fondly remember. Danny’s sister, Isabelle, reluctantly accepts their help. She and Nate aren’t on the best of terms due to a shared past. Can they get beyond painful memories to find her brother? And what on earth was Danny involved in besides becoming a rising star as a sax player? Nate and Nicki follow clues into dim and smoky clubs, trail potential stalkers, and challenge dangerous men with connections to underworld drug trafficking. To complicate things, the hotel they are staying in has its own secrets. Confronted with murder and mystery in the land of the Delta blues, the cousins and Isabelle will have to rely on their faith and investigative experience to solve the case and not lose their lives. Amanda Dunn set sail from England for Wilmington, North Carolina, hoping to restore shipments of cotton for her family’s textile mills, which have been severely disrupted by the American Civil War. But when she meets Nathaniel Cooper, her desire to conduct business and quickly return to England changes. Amanda’s family across the sea deems the hardworking merchant unsuitable for the lovely and accomplished heiress. And when Nate himself begins to draw away, Amanda has her own battle for a happy future on her hands. As the Union navy tightens its noose around Southern ports, Nate’s brother, a Confederate officer, comes for a visit. Nate contemplates joining the Glorious Cause—not in support of slavery but to watch his brother’s back. Yet will this potentially life-threatening decision put the union between him and Amanda in jeopardy? Falls in Love with a Man Loyal to the Confederacy? Emily Harrison’s life has turned upside down. At the beginning of the Civil War, she bravely attempts to continue her parents’ work in the Underground Railroad until their Ohio farm is sold in foreclosure. Now alone and without a home, she accepts a position as a governess with a doctor’s family in slave-holding Virginia. Though it’s dangerous, she decides to continue her rescue efforts from there. Is the Price of Happiness Worth the Cost? Rachel King, still recovering from the death of her parents, watches both of her older sisters find happiness in homes of their own with husbands who adore them. She yearns for her own new beginning. Her cousin Sarah lives near a Thoroughbred stable in Kentucky, and the opportunity to work around beautiful horses has always been Rachel’s dream. She leaves Lancaster County to find a home with Sarah and her husband, Isaac, wondering about God’s plan for her life. When a job at Twelve Elms Stables opens up unexpectedly, it seems as though He has answered Rachel’s heartfelt prayers. Then she meets Jake Brady, one of the owners of Twelve Elms, and her life becomes complicated. He’s attractive and charming, and his interest in her is flattering. But he’s also English as well as her boss. And is his trust in God as central to his life as it should be? Does she have a future to hope for? Nora King is a woman in love. When Elam Detweiler leaves the ultraconservative Amish district of Harmony, Maine, and moves to Paradise, Missouri, Nora boldly follows soon after. But is she in love with the man or the independence and freethinking he represents? 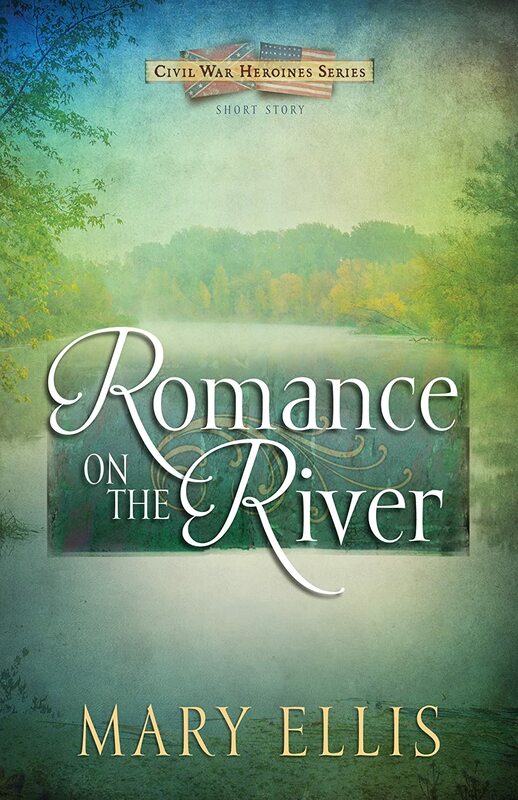 Though she soon finds work she enjoys and a new best friend in Paradise, Nora can’t decide whether she wants to capture Elam’s Englisch-leaning heart or commit finally to her Amish faith. And then, unexpectedly, Lewis Miller comes from Harmony to offer Nora what every woman hopes for—a lifetime of unconditional love. As Lewis attempts to claim her affections, Elam’s interest piques. Suddenly, Nora is irresistible to him. Wooed by two such different men, will Nora come to her senses before Elam’s thoughtless choices ruin her reputation beyond repair? Will Lewis’s pursuit survive the challenge? Love Comes to Paradise is about fresh starts…and how faith in God and His perfect plans provide peace and joy in a turbulent and ever-changing world. Will Their Young Love Survive? Amy King—young, engaged, and Amish—faces life-altering challenges when she suddenly loses both of her parents in a house fire. Her fiancé, John Detweiler, persuades her to leave Lancaster County and make a new beginning with him in Harmony, Maine, where he has relatives who can help them. John’s brother Thomas and sister-in-law, Sally, readily open their home to the newcomers. Wise beyond his years, Thomas, a minister in the district, refuses to marry Amy and John upon their arrival, suggesting instead a period of adjustment. While trying to assimilate in the ultraconservative district, Amy discovers an aunt who was shunned. Amy wants to reconnect with her, but John worries that the woman’s tarnished reputation will reflect badly on his beloved bride-to-be. Eli’s kindness and appeal extend beyond his knack for words to reach inside Phoebe’s heart. But he is an only son with five sisters, and when his father suffers a heart attack, Eli gives up his writing to assume responsibility on the farm. Though willing to abandon his dream of becoming an author, he won’t give up his beloved Phoebe. Can their love for a good story develop into something that lasts forever, or will Phoebe’s deep-seated fear of desertion stand in their way? A bright new voice shares a tender love story set in the rolling green fields of Ohio Amish country. Hannah thought she could never love again, until she meets the strong, gentle farmer. Unfortunately, Seth Miller’s only interest is in Hannah’s sheep. He is content in his bachelor state and slow to recognize his daughter’s need for a new mother. Yet God offers Seth the perfect solution to their problems if he could only open his heart again…and love. From the bestselling author of A Widow’s Hope and Never Far from Home comes a brand-new Amish novella that will add joy to the Christmas season. Though Caleb Beachy lived in the Englisch world for some years, he is a Plain man at heart. When he decides to return to the Amish lifestyle, he moves back home and goes to work for his father. Soon these two strong-willed men find themselves at odds. Caleb discovers there’s more to embracing his faith and reconnecting with the community than merely driving a horse and buggy and giving up Levis. Josie Yoder was just a girl when he left. All grown up now, she gives Caleb hope for the future. She soothes his frayed temper and is determined to remind him that while his faith may have wavered, God never left his side. Caleb is tempted to return Josie’s feelings, but the choices he made while away are a heavy burden on his conscience. Will past mistakes end up destroying their fledgling romance? Or will she be able to break through the wall around his heart? A Plain Man is more than just a sweet romance centered in Amish beliefs. It’s the ever-fresh story of a wounded heart finding joy, health, and healing in God’s infinite grace. Mary Ellis follows her captivating Widow’s Hope with a new story from the heart of Holmes County, Ohio. In Never Far From Home, fifteen–year–old Emma Miller finishes school, starts her own wool business, and is longing for someone to court. When the object of her affection is a handsome English sheep farmer, with a fast truck and modern methods, her deacon father, Simon, knows he has more than the farm alliance to worry about. Emma isn’t the only one with longings in Holmes County. Her aunt Hannah wants a baby and her uncle Seth hopes he’ll reap financial rewards when he takes a risk with his harvest. But are these the dreams God has for this Amish family? With engaging interactions and thoughtful characters, Ellis weaves a story about waiting for God’s timing and discovering that the dreams planted close to home can grow a lasting harvest of hope and love.